Happy birthday, Maurice..and happy Father's day ! that is one big chilli dog. Happy b-day to Sonic. 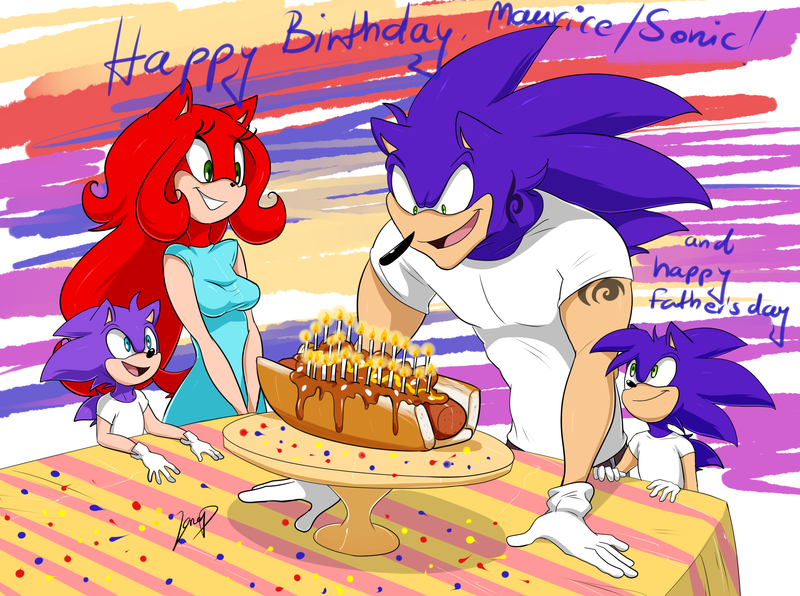 I am looking forward to seeing what Team Sonic comes up with for his party. Jane's granpa had blue eyes. Now THAT'S a Birthday/FathersDay cake XD. I actually know a tutorial for a giant hotdog cake if you're interested.